MC – Mango Chutney (1/13, 3/28, 6/11, and more) I make batches of Mango Chutney when i can get Mexican mangoes. Didn’t get enough chile pepper in it the first time but sure did the next two. Pickled Brussels Sprouts (1/20, 1/30 and numerous occasions after) There have been very handsome Brussels sprouts in the farmers’ markets lately, thus these batches. Chocolate Sauce (2/13) I make chocolate sauce frequently because there’s great demand for it, but i never mention it in these Production Reports. I’m mentioning this one because it’s extra-splendid owing to my having bought online a 5 kg. bag of Callebaut cocoa powder and a 5 kg. block of Callebaut unsweetened chocolate, both smuggled in from Belgium. So for the foreseeable future my chocolate sauces will be 100% Callebaut. This is the best chocolate sauce i ever made. Period. Pickled Beets (3/20, 5/11) My goodness there sure are a lot of recipes for pickled beets out there. Many of them are just for refrigerator beets, but still i went through a lot of recipes for canned ones and came up with a middle of the road compromise. Cooking times listed for the eight beets ranged from 15 minutes to an hour, so i did 45 minutes since i definitely don’t want them crunchy. The pickling solutions i saw were likewise all over the map, but since i’m often praised for cutting back on the sourness, i went for half vinegar (1qt) and half water ( 1qt), substituting for the tap water that in which the beets had been cooked. I used less sugar than most recipes call for, a half cup. And i threw in handfuls of cloves and allspice berries. They’re getting good reviews. 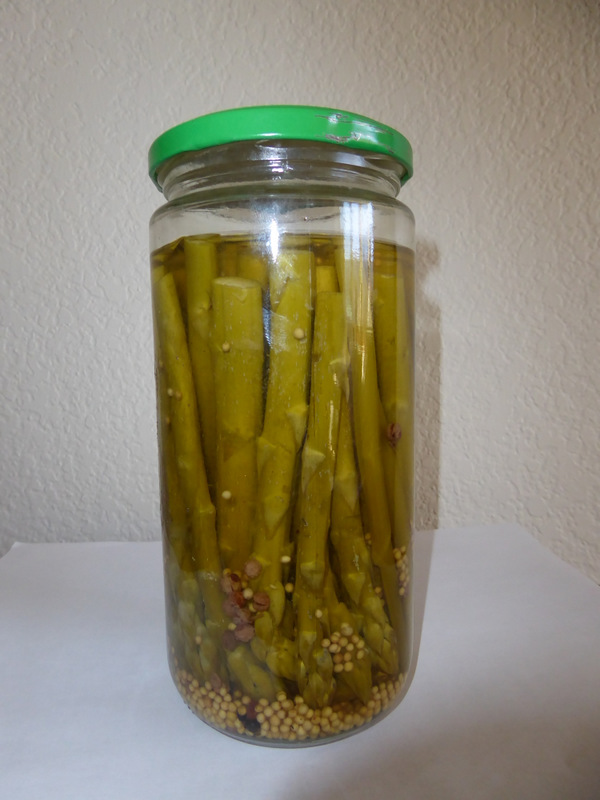 Pickled Sugar Snaps (3/25 and several occasions later). These are a great favorite, with or without a dried Thai chile. Pickled Snow Peas (4/14) The Herrs at the Noe Valley Farmers’ Market this morning had the first of the season’s snow peas. So i bought a big bag, spent the afternoon arranging them in jars, and sprinkled in mustard seed and dill seed. For most of the 15 jars, i slipped in Piper longum, the Indian long pepper. For the rest, a dried Thai chile. I need to remind people who receive those that the pickles will get hotter and hotter until they fish the chile out. Then i poured into the jars the boiling pickling solution and screwed the lids on tight. 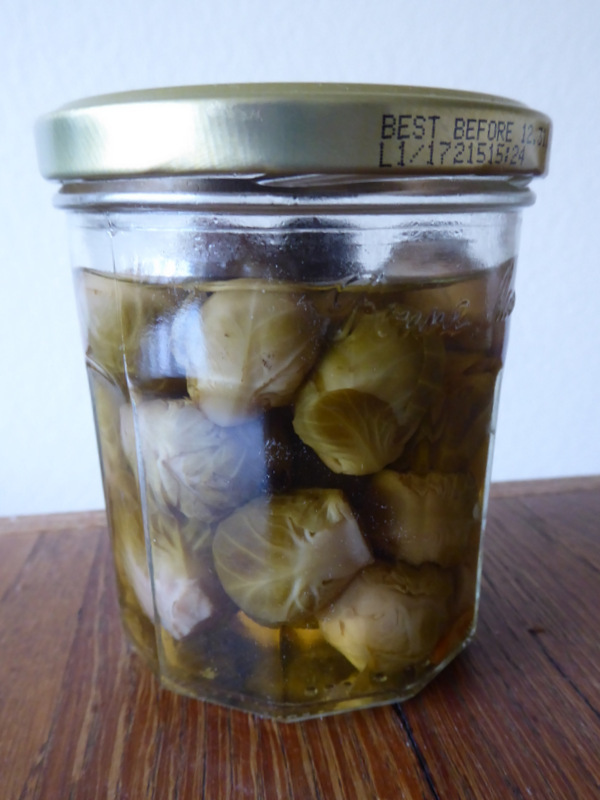 I am enormously pleased with myself over this, as these pickles have been a great favorite in past years. CPK – Cherry Jam with Patak’s Hot Lime Relish (5/6) This one is a great favorite of many people, starting with my retinologist and her husband. First cherries of the season, so they’re not as fully flavorful as they will be later, which made it easy to decide to spice them up. CCPK+ – Coral Cherry Jam with Patak’s Hot Lime Relish (5/25) To give it the plus, i chopped in a Thai chile, so the capsaicin is right up front on this one. And hell, Coral cherries may be even better than the Royal Tiogas. RLM – Rangpur Lime Marmalade (5/26, 6/7, 11/5, 11/6) Carol’s tree is still groaning with these little beauties, and she gave me a big bag of ’em for this marmalade. Better yet, even though i have a tendency to overcook marmalades, this one is still easily spreadable. ta da. The second batch has about 20% lemon in it because that big bag from Carol didn’t have quite enough for two batches. Turned out fine anyhow. CC – Coral Cherry Jam. (5/27) Oh my goodness. Every red cherry variety i’ve tasted this year has been better than the previous, and the Corals are no exception. The even better news is that i let this batch reduce a bit more than necessary, so it set up quite firm. No worry about this one running off the edge of your toast. RCPK+ – Rainier Cherry Jam with Patak’s Hot Lime Relish (6/7) I never added Patak’s to a Rainier Cherry jam, so i thought i’d try. Went ahead and put half a jar of the Patak’s in, to make sure. And then, to make doubly sure, i chopped in a Thai chile. Yow! BB – Blackberry Jelly (6/13 and a couple of times later) First blackberries of the season from Yerena. I know no fruit other than tayberries that makes better jelly than blackberries. Umm, well, raspberries come close. BBV – Blackberry Vinegar. (7/14) I strained the seeds and pulp from the blackberries for the 6/13 Blackberry Jelly, put them in a big jar, added half as much vinegar, let it steep in my refrigerator for a month, strained it through a cloth, and bottled it. I recommend using this stuff to make a vinaigrette with a luxury oil like walnut oil. BC – Bing Cherry Jam (7/28) Still difficult to get to farmers’ markets, but i saw these cherries in Costco and thought, why not? And you know, they made a good jam. BBj – Blackberry Jelly (8/9) Blackberries from Yerena at the Heart of the City Farmers’ Market. For this, i chopped in one seeded and deveined Jalapeño, and that was just enough to brighten up the other flavors and be barely discernible, so i used a lower-case “j”. The fringe benefit is that Glen Tanimoto is back at the market and selling his superb variety of yellow corn as well as those French Plums/Italian Plums/Sugar Plums/Prunes d’Agen whatever you call them. GG – Greengage Jam (8/16) I’ve gone into panegyrics before over these wonderful and difficult-to-find plums, so i’ll just say they make a very good jam even though i could have cooked this batch down a bit more. Pickled Okra (8/19, 9/1, and later) I haven’t pickled okra in a number of years and don’t know why it’s taken me so long to do it again. I got little pods that will fit into 8 oz. jars. Cuter that way. I processed these for only 5 minutes, hoping them to still have a little crunch or at least not be mushy. 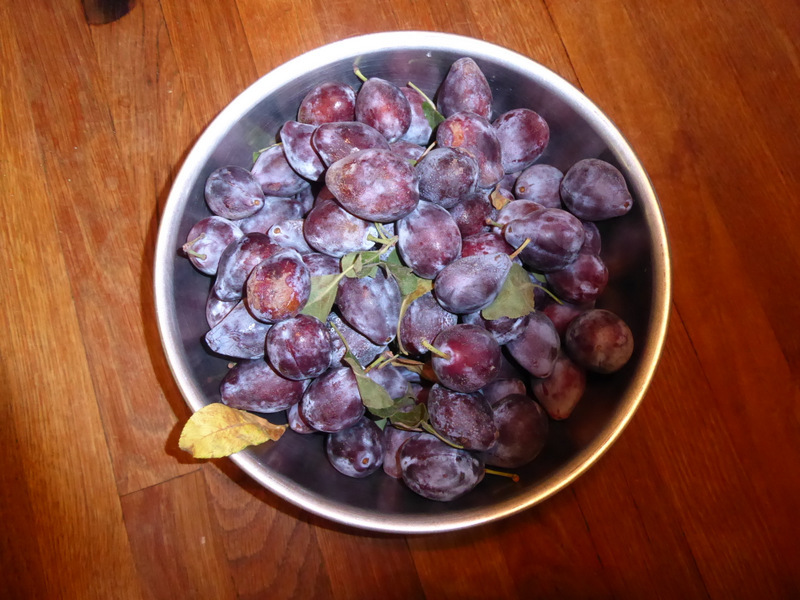 SPJ – Sugar Plum and Jalapeño Jam (8/31) OK, not to get too deeply into botany here, but these plums are Prunus domestica like all plums, and they are grown primarily (in California) to be dried into prunes. Nevertheless, they are a very sweet plum with a meaty mouth feel and are the favorite eating plum for many of us. They are popularly called “Sugar Plums”, but farmers of Italian ancestry call them “Italian Plums” while French farmers call them “Prune d’Agen” or just “French plums” if the family no longer speaks French. In both countries a varietal that looks like this has been cultivated for centuries. They’re also great for jams because they have, unlike other plums, some pectin. I’ll make a plain batch later, but for this one i threw in one and a half seeded and deveined Jalapeños, which was just barely detectable but at least brightens up the jam. RBS – Raspberry and Serrano Chile Jam (9/7) Four Serranos in this one since the volume was much less than the above nectarine jam. A pleasant up front chile taste. BBS – Blackberry and Serrano Chile Jam (9/7) To make sure, i chopped in five Serranos. Not blindingly hot, but you can definitely taste the chiles. 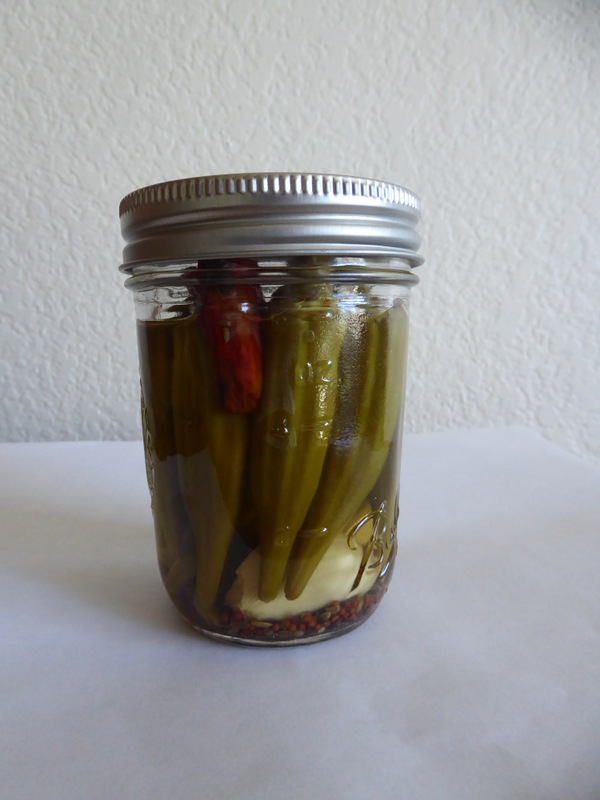 RBRC – Raspberry and Red Chile Jelly (9/10) I was determined to make a high capsaicin jelly, so i bought a bag of these bright red chiles about the size of Jalapeños but with a sharp point at the end. The bin was labeled “Very Hot”, so i chopped four in. Up front chile taste, yes, but still not hot enough to please the serious chile lovers. On, and on the next trip to the market i inquired about their name: it’s Fresno. 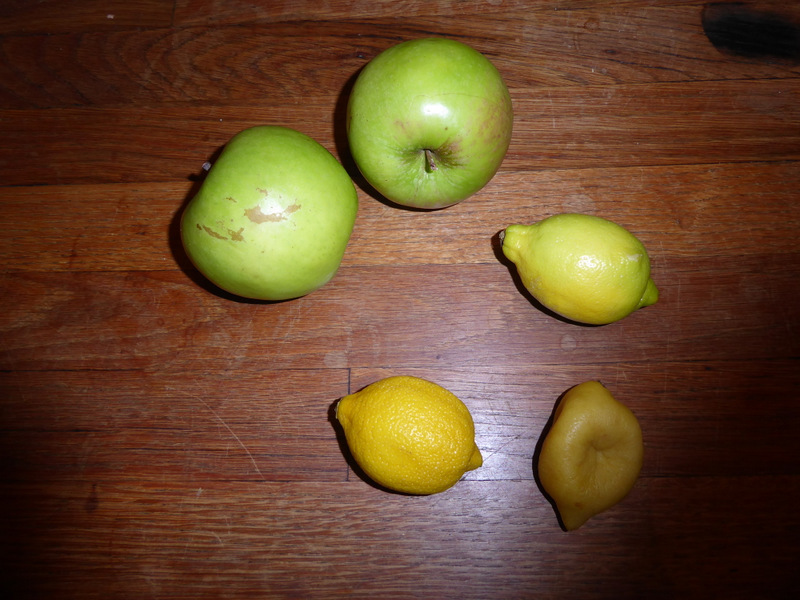 GP – Golden Pluot Jam (9/16) “Golden” is purely descriptive because i, the fanatic about specifying varietal names, bought these pluots at the Alemaney market yesterday, decided that the variety name was too memorable to require recording, and then promptly forgot it. Anyhow, it’s good pluot jam with a lovely color. NN – Nectarine and Nigella Jam (9/27). A yellow nectarine jam with lots of Nigella sativa seeds…for the adventuresome. WNF – White Nectarine and Fresno Chile Jam (9/30). The yellow nectarine season for Rodin Farms (and almost everyone else) is over, so i broke down and did my annual batch of a white nectarine jam. The whites are popular because they’re sweeter, but IMHO the yellows have more flavor. But still, i try to keep an open mind, and i got enough Fresnos in this to taste right up front. Raspberry Vinegar (10/4) From the steeped seeds and pulp left from the 9/10 Raspberry and Red Chile Jelly. FBW – Purple Fig, Balsamic Vinegar, and Walnut Jam (10/7). I’d never made a fig jam before, but a fan inquired, so i DuckDuckWent and came up with a synthesis of a dozen recipes. I held off throwing in the walnut pieces until 15 minutes before the jam was ready to jar, which softened them but left them intact. Figs are almost my least-favorite fruit, coming in just above dates, but i will eat them with pleasure in this form. Nuff said. Form a line. GFBW – Green Fig, Balsamic Vinegar, and Walnut Jam (10/12). I bought the tail end of the figs, green ones this time, and took another pass at a jam with them. I reduced the sugar and increased the balsamic vinegar and the walnut pieces. Another difference is that i wasn’t thinking fast enough and failed to grind the figs up with my stick blender before i threw the walnuts in, so this one has chunks of halved figs along with the chunks of walnut. I have a feeling that this stuff will go over like gangbusters, so i won’t be telling just everyone that i’ve made it. FC – Feijoa Chutney (10/17) Do i love my food contacts or what! My new friend Joy took me over to the home of friends of hers, Karen and Charlie, who gave me a bag of feijoas off the tree in their garden and invited me back in a few days when they’ve shaken the tree for more. Joy mentioned that she’d love to help me make the chutney, so she came over and together we made it. Not sure whether it was her knife skills or just that her presence made me more scrupulous, but in any case this batch strikes me as the best i’ve ever made. Incidentally, i discovered that i’ve been pronouncing the fruit wrong. It’s fee’ j (French pronunciation) oh ah (as a diphthong). FC+ – Feijoa Chutney with Figs (10/20). Joy took me back to Karen and Charlie’s for another bag of feijoas. She took some of ’em this time, so i made up for the shortfall with some figs she’d given me. The chutney may be even better this way. MC – Mango Chutney (10/30). Oh my goodness. I spotted at Casa Guadalupe some enormous mangos and squinted at the label cautiously, fearing that they’d been flown from South America which would mean that i refuse to buy them. Mexican mangos appear regularly here, and i quite like them, but these were labeled “USA”. Wonderful, even better than Mexican, so i snatched them up joyfully. I selected the least ripe ones, so the chutney turned out great. RLM – Rangpur Lime Marmalade (11/5). Carol came through with ten pounds of her rangpur limes, and i made this marmalade out of the first five pounds of ’em, seeding and very carefully slicing the limes. QRLM – Quick Rangpur Lime Marmalade (11/6). For the second five pounds, i made another batch of marmalade, this time seeding them and then throwing them into the Cuisinart and pulsing them until they were chopped into small chunks. Not quite as pretty as the sliced ones, but it saves hours of slicing and tastes as good. Pickled Beets (11/6). Karen and Charlie gave me a bag of beets from their garden, and when i opened it i discovered that the beets were of many colors from snow white to orange to the standard beet red. Pickled ’em all together. Pickled Yellow Wax Beans/Blue Lakes (11/8). I mixed these together for the visuals. MCM – Mixed Citrus Marmalade (12/16). I had 3½ pounds of early blood oranges and added 1 ½ pounds of mixed lemons and mandarins to get it up to 5 pounds for the standard batch. Held back a bit on the sugar because of the mandarins. MFM – Mystery Fruit Marmalade (12/30). Well, only a pound of it is the mystery fruit, the other four are early blood oranges Erik picked for me. He didn’t know what they were, so here’s a photo. They have up to eight seeds, so they’re a little tedious to work with, but they’re nearly twice as big as a kumquat, so they’re not as difficult. Taste? Well, citrusy. Not as sweet as a mandarin but sweeter than a Meyer lemon. EBOM – Early Blood Orange Marmalade. (12/30) Finally, a 100% blood orange batch. I’ll make one more batch after this one because it’s such a popular marmalade.